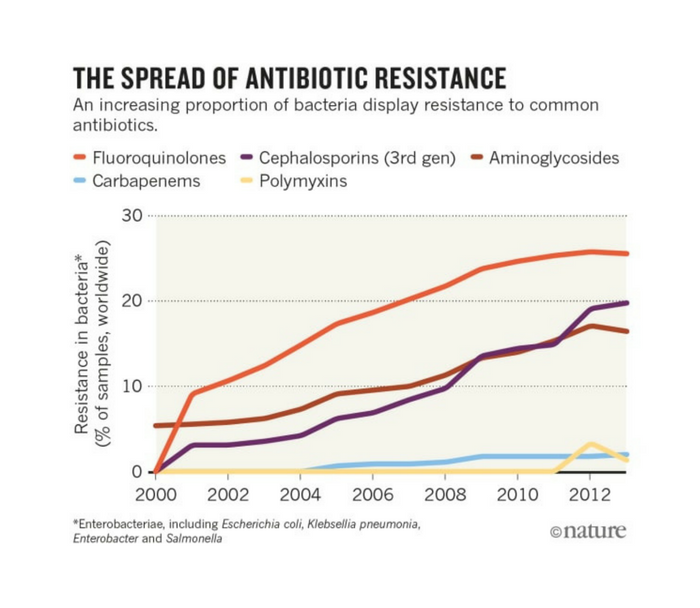 It is the largest revision of the antibiotics section in the WHO Essential Medicines List in its 40-year history. Scientists have warned that drug resistance is a health crisis in the making, and could kill more people than cancer. To put that in perspective, the WHO said in 2014 that it expected cancer cases to surge 57% worldwide over the next 2 decades. 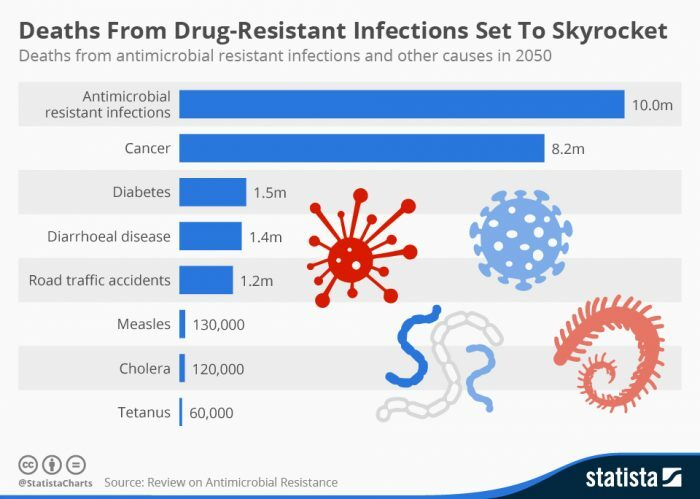 “Access” – Bacteria are less likely to develop resistance to drugs on the “Access” list, including widely-used amoxicillin, cefalexin, azithromycin, ciprofloxacin, and doxycycline. Fluoroquinolones are fluoride-based antibiotics with links to severe neurological side effects, including severe pain, neuropathy, and paralysis, as well as other complications. The FDA slapped a “black box” warning, the agency’s most serious warning, on the drug class due to its potential to cause major health issues – bigger issues than fluoroquinolones are often prescribed to treat. “What we need to do is stop paying for antibiotics based on how many times they are prescribed, to discourage use. We don’t want colistin used very frequently. In fact, we don’t want it used at all. The list takes into account antibiotic use in farm animals, and was developed together with the UN Food and Agriculture Organization and the World Organization for Animal Health.